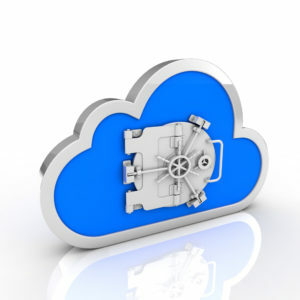 Intro to Cloud Computing | Biztek Solutions, Inc.
Is Your Data Really Secure In The Cloud? Are you thinking about moving all or parts of your computer network “to the cloud” but worried about who can access your data? You’re not alone – but many security experts, software companies and cloud-service providers alike agree that cloud computing offers a MORE secure way to store data. In fact, the US government’s cybersecurity adviser, Howard Schmidt, has said that cloud computing will enable businesses to catch up on security issues. That’s because most small businesses do NOT have high-security measures in place for their data on-site and lack tight password protection policies, firewall management and backup procedures.The same business owners who verbalize their concern about putting their data in the cloud are backing up their entire network to a tape drive and leaving it in their car overnight – or are using weak passwords for important access points to their network, which are much bigger security risks than storing it in a highly secure, highly redundant cloud platform. That’s like saying you’d rather stuff your money into a mattress at home than keep it in a bank because you’re not sure who can see and touch your money. Who outside of my company will have access to my data? What security measures are in place whenever a mobile device or laptop is lost or stolen? With what frequency is my data backed up (and where is it backed up)? What happens if my cloud provider goes out of business? What’s the backup plan? Where is my data actually located? Of course, with any data storage there is risk, and there’s no way to completely guarantee absolute security. That said, most cloud providers are far more diligent about security and invest millions of dollars into ensuring all aspects of security are as tight as possible. We have spent a considerable amount of time investigating various cloud solutions and vendors for our clients. The unvarnished truth about the pros and cons of cloud computing, as well as common cloud-migration “gotchas” that could cost you dearly in time, money and aggravation unless properly planned in advance. A Higher Level of Service at a Greatly Reduced Cost Compared to Internal IT! When our internal IT guy let us know he was moving away, we had to find another solution and outsourcing our IT seemed like a logical solution. Since transitioning from internal IT to Biztek Solutions, we have received a higher level of service at a greatly reduced cost. If you are on the fence about choosing Biztek, all I can say is, Jump! You have no worries. Biztek will catch you!